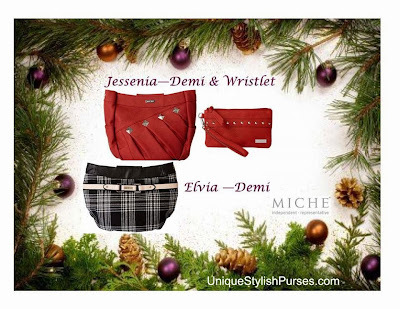 Now is the time to get that special person on your shopping list a Miche Bag. Cinnamon red is a happy, timeless color that transcends all seasons and brightens any day. The Wristlet is the perfect, easy-to-carry take-along for an evening date or quick shopping trip. It comfortably holds credit cards, bills, keys and your favorite lip gloss. Cinnamon red. You don’t have to be Scottish to enjoy the timeless look of plaid. Black, white and grey flannel is soft to the touch and goes with just about anything.